A recent test has confirmed that Google's popular smartphone, the Nexus 5, has worse battery life after updating to Android 5.0 Lollipop. The news arrives despite Google's claims that the new OS offers a 10 percent increase in battery performance over its previous OS, Android KitKat. The news comes courtesy of a blog post on GSMArena which took an in-depth look at battery performance on the Galaxy S5, HTC One (M8), LG G3 and Nexus 5 after upgrading to Lollipop. While the S5 and One (M8) showed various strengths and weaknesses, the LG G3, and Google's own handset, showed a loss in every category. As you can see in the "general" usage statistics above, two out of four of the flagships in the test suffer a dip in battery life after upgrading to Android 5.0. We know that many AndroidPIT visitors had long since suspected that Lollipop was a factor in their device's battery life issues, and will be pleased to see their claims justified. It is worth noting that this test was conducted on Android 5.0, and the Android 5.0.2 update is now available for some devices and said to bring a lot of bug fixes and improvements to make system performance more reliable. What effect this has on the overall battery life remains to be seen, but I suspect that, even with 5.0.2, these devices won't show an increase in battery life like Google told us it would. Head to Android 5.0 Lollipop problems and solutions page if you need any further help, and you can even find out how to downgrade your Nexus to an older version of Android, if you wish to do so. 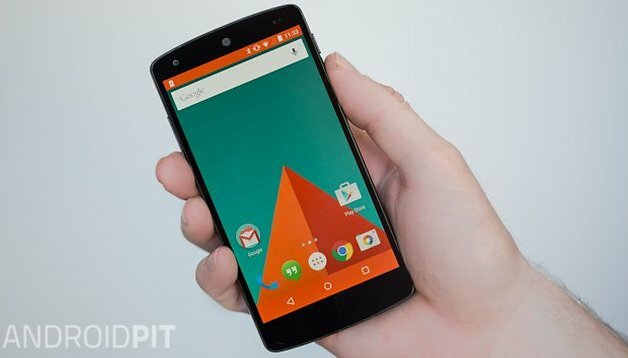 Have you experienced battery problems on the Nexus 5 after upgrading to Lollipop? What's your solution to the problem? lollipop bricked my Nexus 4, it's an older phone but still. now i need to find a few hundreds to get a new unlocked phone. Having the droid turbo I don't have a choice. So much for Motorola getting updates quickly. I has a droid turbo and the wait for 5.1.1 was week worth the wait. plz i pressed the download button on the lollipop update and i dont want it is there a way to stop it ??? My Nexus 4 on Lollipop (5.0.2) randomly shuts down and displays the "low battery" flashing white notification led even though the charge before shutdown was good (e.g. 50%). Plugging in the charger at this stage does nothing - it doesn't charge and doesn't get warm. Restarting by holding the power button down is usually not successful. I have been following a tip read somewhere which involves holding down both the power and volume down buttons while plugging in the charger. Charging then begins and you can then restart it. I have also had the camera freeze which requires a power off and restart to fix. I fear this will be the last "upgrade" for the Nexus 4 so may have to downgrade to 4.4.4. Welcome to the growing group of unhappy Nexus users. The Nexus 7's bought in 2012 have turned into bricks with Lollipop. Even with two "fixes" the lag, freezes and significant loss of battery have made my Nexus 7 almost useless. Google is loosing customers hand over fist. What was a really great product now is S--t.
I know Google probably has all the lawyers they need, but a class action law suit is on the horizon, so they might want to put on a few more. My 7 2013 for the full update and runs perfect. Is yours 5.1.1? Lollipop has definitely killed the battery life on my Nexus 5. I used to be able to go a full day without charging it, but now I'm charging it mid day. What the hell is it doing? I installed lollipop on my nexus 5 and found with stock kernal battery life was not great. I don't really worry as when I'm at my desk for 3-4 hours I place my nexus on a charging pad. Then when I get up to go to the lab I have a decent or full battery. When I'm not going to be at the office I will switch sims to my G3 and alls well as that will last all day. I miss the stock android on that though. Also I installed a custom kernal and battery life has improved greatly on lollipop, but the point of the article is stock android. That's why I didn't include that detail till the end. Plus I charge my nexus when ever I'm not in the lab or out in the field which is about a third of my day so I can always charge it then. With the cloud its easy to swich devices too. Can you tell me which kernel did you install? Same issue with lollipop on Nexus 4 for me. Phone gets slow, often gets hanged & restarts randomly. But battery life seemed somewhat improved or same. One thing I learned from my personal experience that Kit Kat 4.4.4 is the most stable update on Nexus 4 in all respects. Personally I hadn't noticed too much difference in my battery life after upgrading to LP. If anything it's a tiny bit better, definitely not worse. Be interesting to know if this was tested under Davlik or Art? I think my battry life improved when I went to Art. My battery life is fine on Lollipop. Maybe it's the Cataclysm add-on. Maybe it's the ElementalX kernel and my settings, mostly stock, elementalx governors and such. I don't get two days of gaming, but I can get through an average work day with moderate use. I would like to point out the N5 battery life was never really a bragging point. In most of the reviews I read prior to my purchase, it was suspect. Ijs.. Thanks Scott, your articles are informative and well articulated. Had android since HTC Tatoo. Lollipop bricked my Nexus 7. Stuck on the Google logo. Normally you could factory reset or fix the device using custom firmware. But this cannot be unlocked. Asus said that due to Googles encryption, it cant be unlocked. And coz its out of warranty, no support. Sigh, this is not even a hardware issue. I feel really let down by google. Will the One Plus One be upgradable to Oxygen OS in India OTA? My battery lasts significantly longer on my LG G3 when I updated to lollipop. Its been a right mess. Normally when using camera. Goes from, say, 80% charge, switches off then comes back on with 0% charge, then the best bit. The battery % increases itself without being plugged in, generally in about 15 mins its showing 60% charge. I'm seriously considering ditching the N5 and going for an OEM and foregoing the regular updates for more stability.